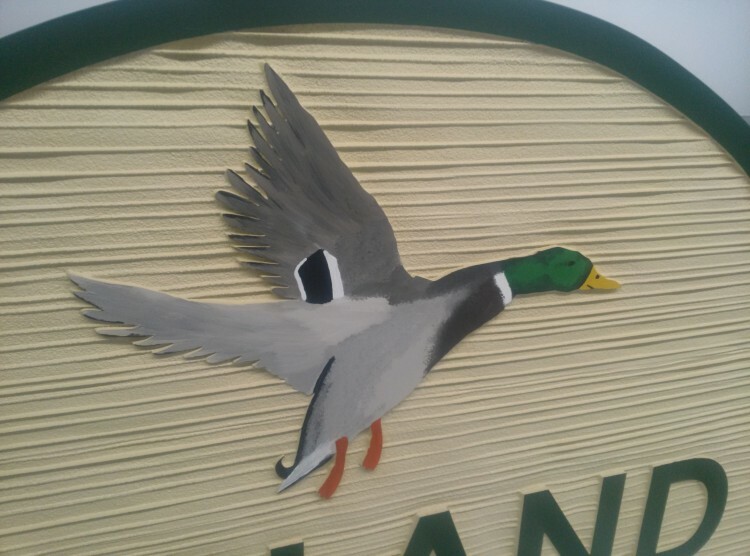 Custom painted mallard duck on a beautiful sandblasted HDU sign with wood grain. We enjoy getting to make some really cool signs here at Baker Sign Group. This is just one example of our custom painting abilities.